W&Co is a leading supplier of high quality signs, displays, graphics, large format printing, acrylic fabrication, feature lighting and digital signage including: LED Lightboxes, Custom Signs, Tension Fabric Systems, Poster Cases and Digital Signage Screens. 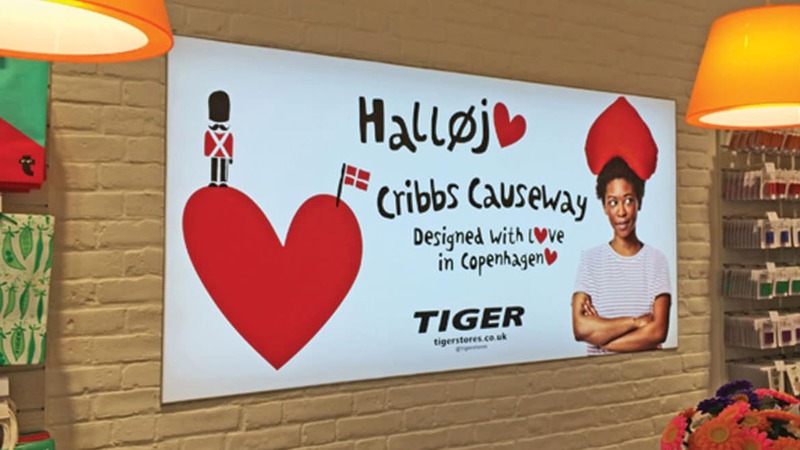 Being renowned for illumination, W&Co specialises in a wide range LED illuminated displays, many of which are held in stock, and also illuminated signs which can be custom made to your specifications. LED Light boxes from W&Co are well known to be of the highest quality consequently Blue Chip Companies, High Street Retailers, Banks, Hotels, Supermarkets and Car Showrooms insist on our illuminated displays. We also offer widest range of LED light boxes for indoor or outdoor, backlit or border lit, aluminium or acrylic, ultra thin or large format, soft or hard face, recessed or projecting, front loading or side loading, wall mounted or freestanding or they can be custom made to your specifications. Tension Fabric Systems offer frameless edge-to-edge graphic solutions with illuminated fabric face light boxes or non-illuminated fabric face frames. W&Co holds the widest range of tension fabric aluminium profiles in the UK which enables us to produce these illuminated displays freestanding, double sided, double face layered, ceiling, convex or concave curves, retro fit, shaped and much more and we can do this in multiple depths starting from only 16mm deep up to the largest sizes possible. 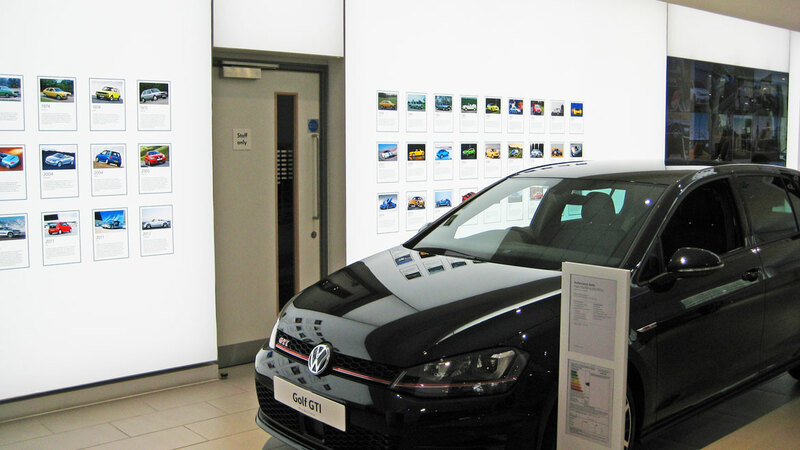 Our wide range of quality tension fabric frame profiles enables us to offer more graphic solutions to various environments such as retail, car showrooms, cinemas, hospitals and marketing suites. Custom Signs are produced to the highest quality by W&Co with illuminated signs, built up lettering and sign trays being our speciality. We also are experts at producing monolith signs, projections signs and polystyrene signs and shapes. 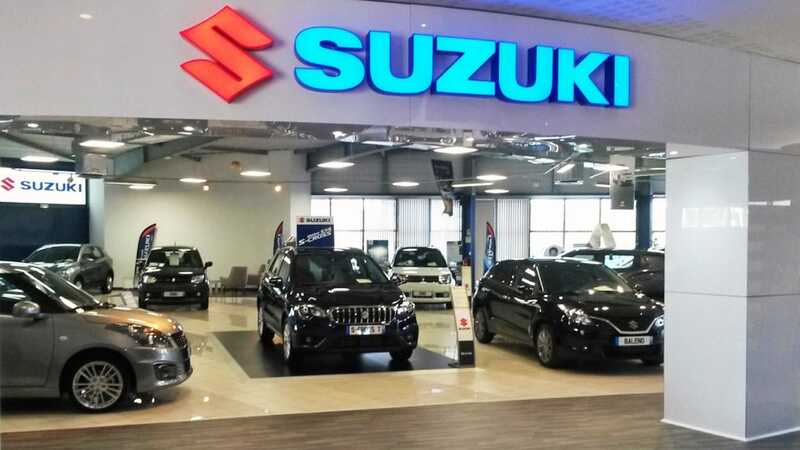 Bespoke signage can be made from smallest branding detail on a shop shelf POS, through a multitude of options for shop signs, to gigantic sign letters on airport hangars and logistic warehouses. Poster Cases are supplied for high end outdoor advertising with toughened safety glass or polycarbonate window panels within hinged opening front doors for the easiest of poster changes. The range of poster cases from W&Co include options for LED lit or non-lit in a many standard sizes and can be custom made to specified sizes. 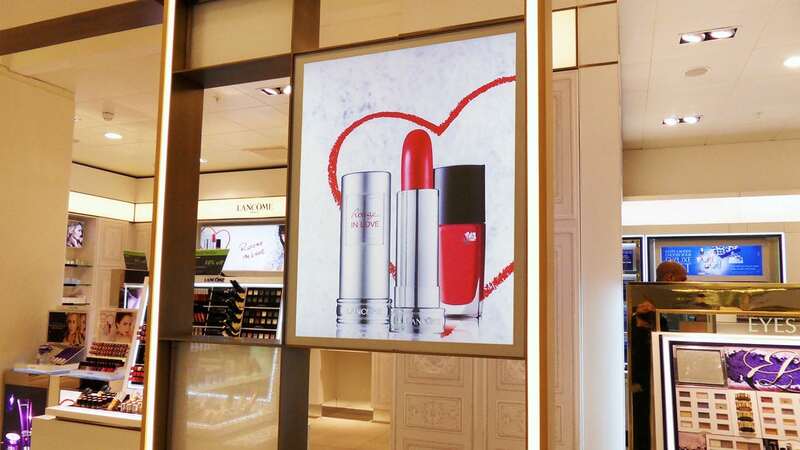 All the poster cases are lockable, weatherproof and vandal resistant and, therefore, are perfect for High Streets, Shopping Mall, Bus Stations and Train Stations. 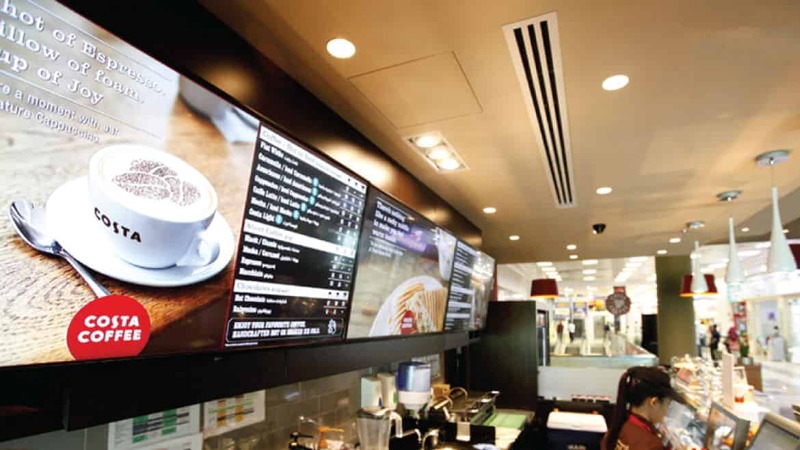 Digital signage screens are kept in stock in a range of standard sizes and styles, with wall mounted, freestanding, high brightness and touch screens with all options you can choose to order for next day delivery. 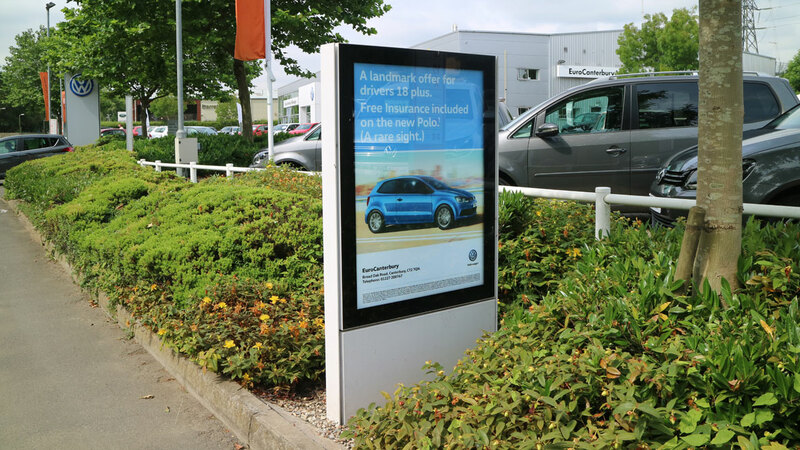 As well as being stylish looking the digital display screens are all easy-to-use, maintain and come with a 3 year warranty. 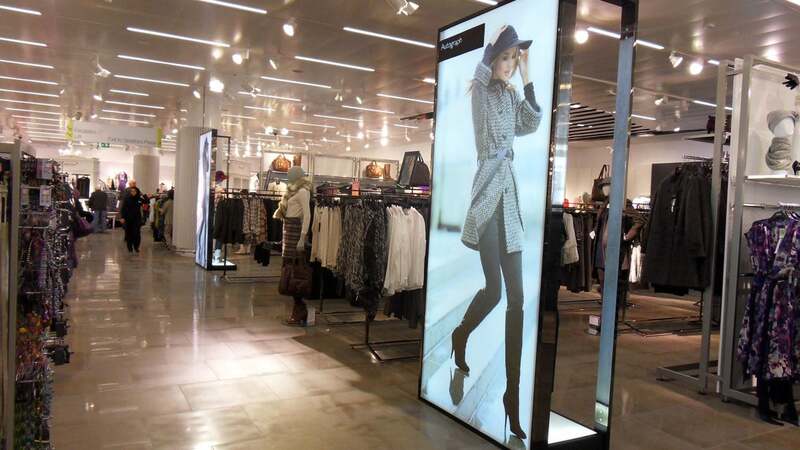 W&Co also has the capacity to design and build bespoke digital signage to suit your specific requirements. Acrylic Fabrication with a variety of cutting, folding and routing techniques allows for the freedom of shape and seamless design to realise an endless number of bespoke acrylic display and sign products. 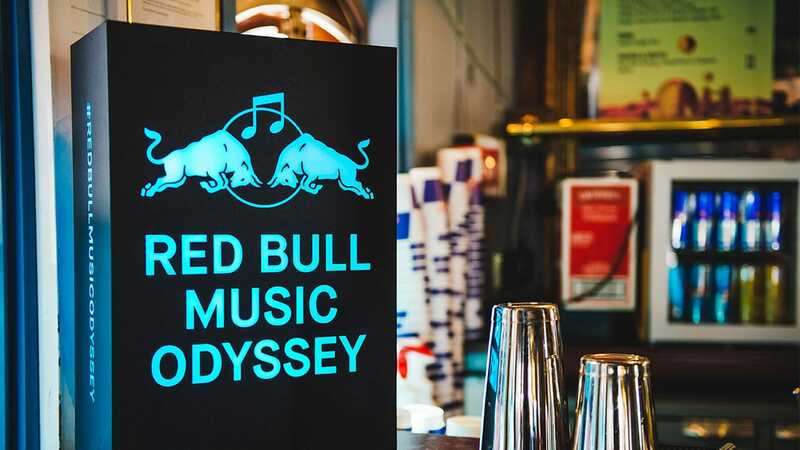 These can be illuminated or non-illuminated, straight or curved, flat or 3d, clear or coloured to produce displays for Point of Sale, Feature Lighting, Signs and Promotions. Large Format Printing from W&Co includes Latex printing, Dye Sublimation printing, Inkjet printing, Digital printing, Lambda & LightJet Photographic printing, Flatbed printing and UV printing. 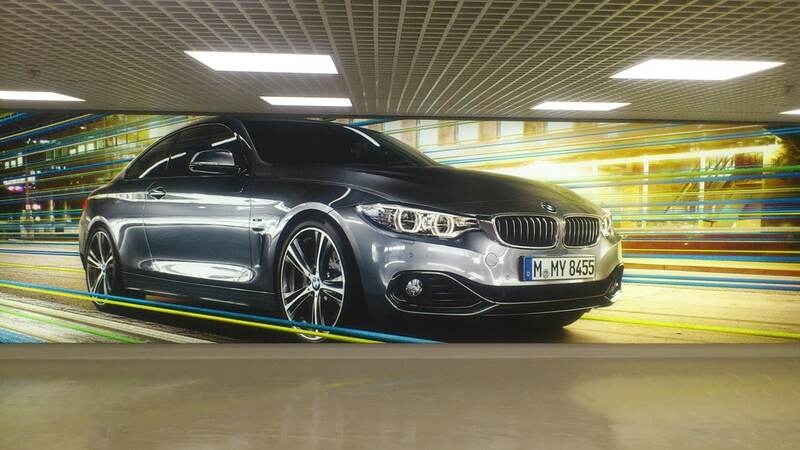 This wide range of printers enables us to print a multitude of large format prints such as, posters, banners, billboards, signs, window graphics, hoardings, digital wallpaper, fabric prints, backlit film, Duratrans and other various Display Graphics. Our services include Graphic Design, 3D visualisation and fitting. Therefore, our professional team can manage your project proficiently from concept drawings all the way through production to final installation. With a comprehensive portfolio of blue-chip clients including John Lewis, BMW and IMAX Cinemas, glowing testimonials and a vast photo gallery of successful projects you can be completely confident that you will receive the highest quality products and services at competitive prices while constantly supported by excellent customer service. Please call our friendly team on 01708 863260 to discuss any project you may have or for any further help and advice. W&Co's Lumitex Tension Fabric Lightbox is a high quality illuminated soft signage system with profiles from as slim as 38mm. More about Lumitex Tension Fabric Lightbox. The Jet Outdoor Poster Case is an outdoor lockable display unit that is available as LED Illuminated and non-illuminated options. More about Jet Outdoor Poster Case. 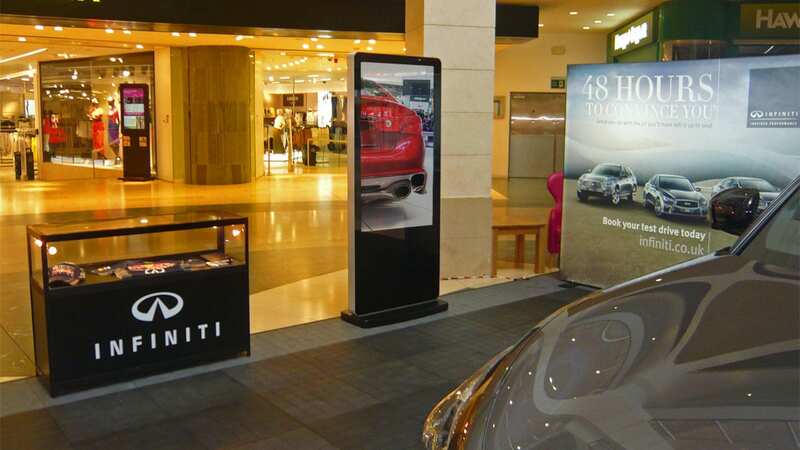 Freestanding Digital Screens work for a wide range of dynamic advertising and promotional requirements...More about Freestanding LCD Digital Screens. 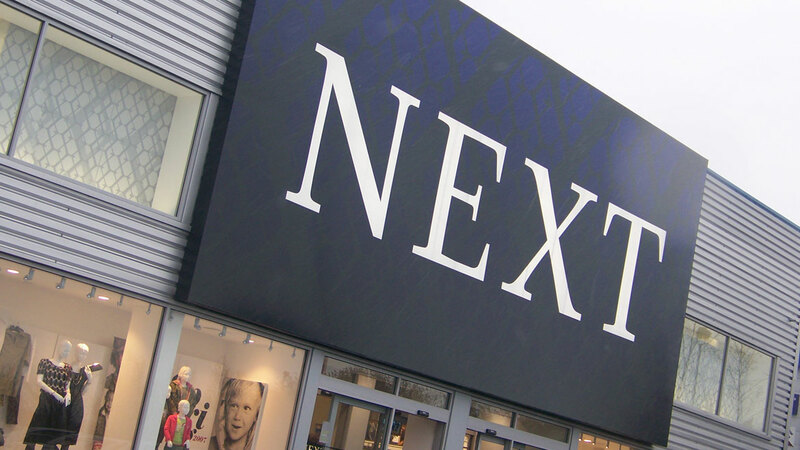 Flex Face Light box signs are outdoor illuminated sign systems ideal for larger sign applications such as retail park signs...More about Flex Face Lightboxes. Nebula acrylic LED Cubes are frameless illuminated freestanding displays which can be made to various shapes and sizes... More about Nebula Acrylic Cubes. 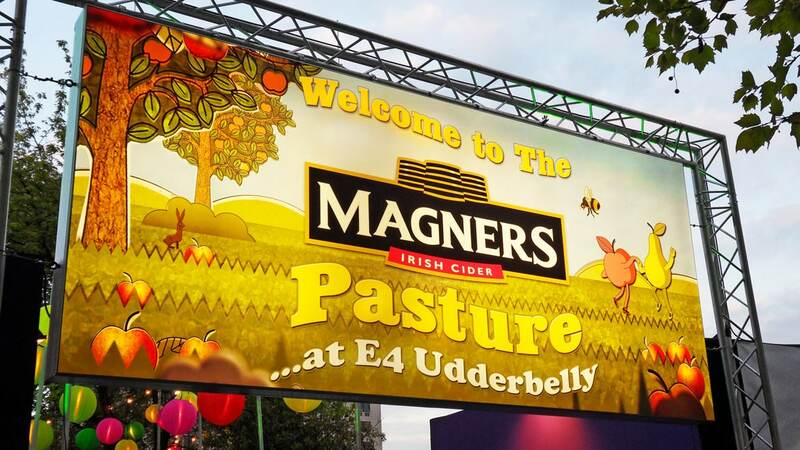 Illuminated Signs are effective at getting a promotional message noticed, so are used for branding, advertising and shop signage... More about Illuminated Signs. W&Co has been designing, developing and manufacturing illuminated signs for Suzuki car showrooms all over the world... More about Suzuki illuminated signage..
Soho Gyms, a chain of gyms in London, instructed W&Co to make new illuminated signs to attract the attention of passersby... More about Soho Gyms Illuminated Signage. Fashion brand, Whistles, draw on W&Co's Tension LED light boxes with fabric prints for their Westfield, White City store... More about Whistles Tension Fabric Light Boxes. 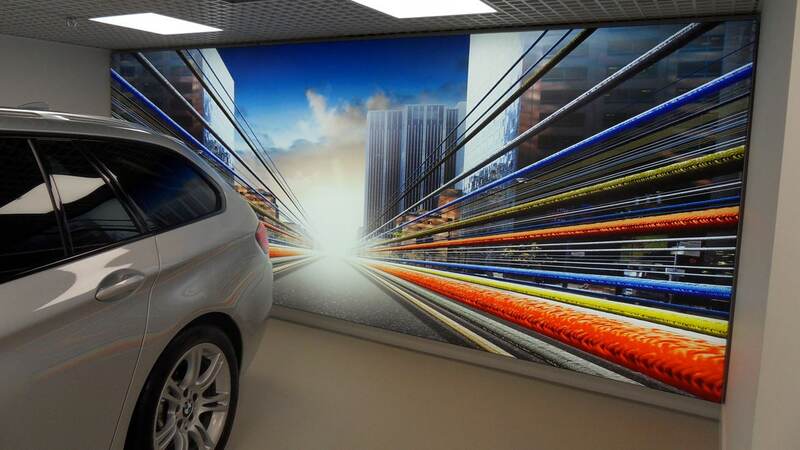 W&Co has been working with BMW since 2005 supplying LED lightboxes to their car and motorcycle showrooms... More about BMW Showroom Light boxes. 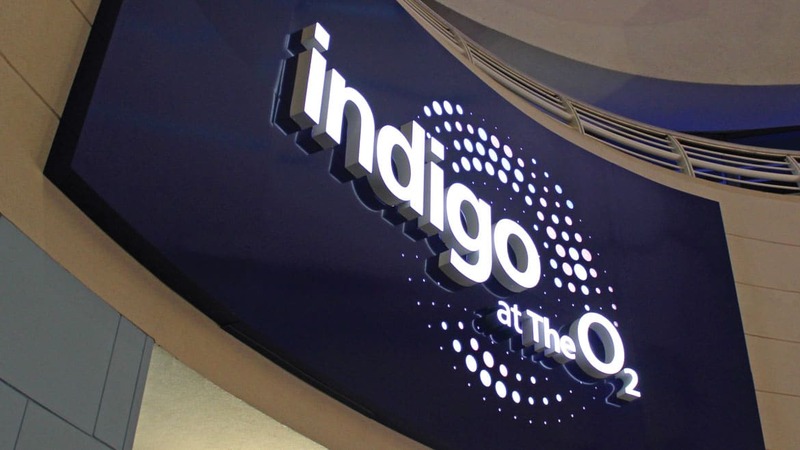 Stunning illuminated signs were designed, manufactured and installed at the main entrance and VIP entrance of Indigo at the O2... More about Indigo at the O2. 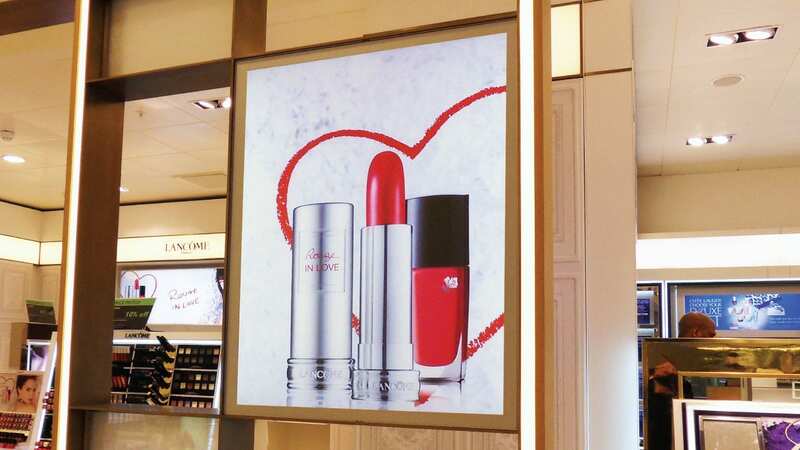 W&Co has supplied slim and stylish retail display light boxes to John Lewis' Perfumery and Beauty departments since 2006... More about John Lewis Lightboxes. 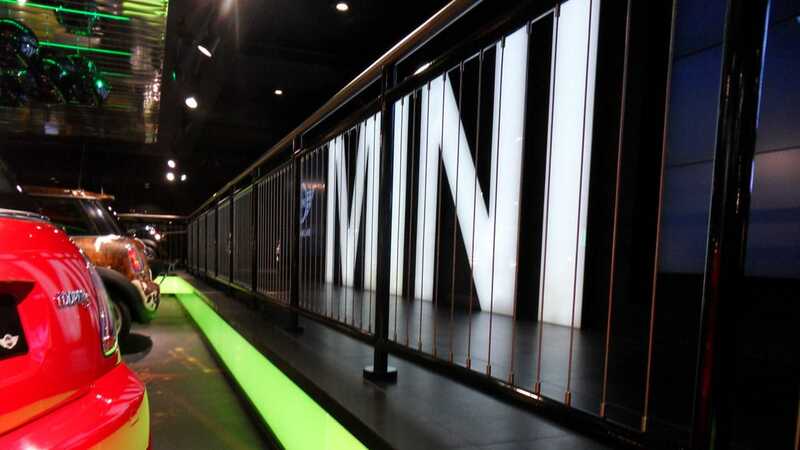 W&Co has worked with MINI since 2004 supplying lightboxes , illuminated signs and feature lighting to their car showrooms... More about MINI Car Showrooms. 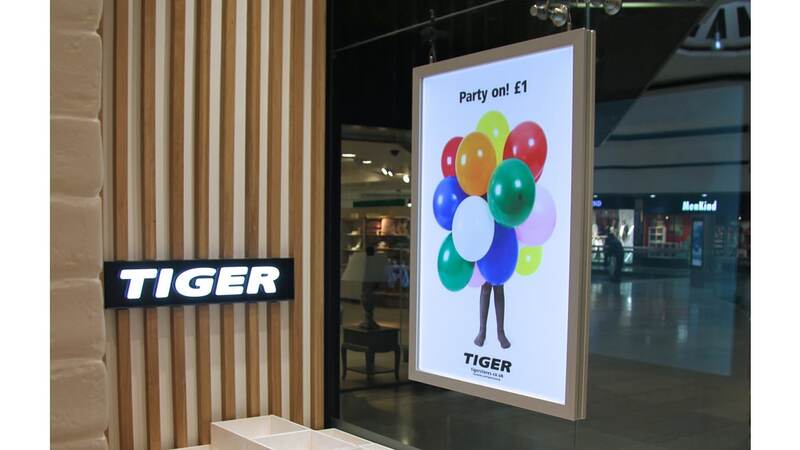 Slim LED lightboxes and tension fabric lightboxes were supplied to Tiger Stores all over the UK, including London, Glasgow, Swansea... More about Tiger Stores Lightboxes. Venchi wanted digital screens for customers to easily browse their chocolates & so opted for Digital POS Touch Screens... More about Venchi Digital Touch Screens. 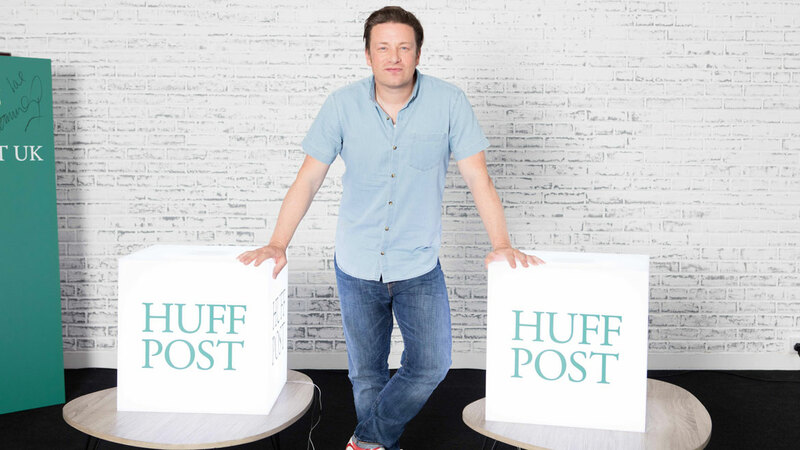 Over 50 fabric face LED light boxes were supplied to Marks & Spencer stores nationwide, for their Autograph clothing range... More about Marks & Spencer Lightboxes. 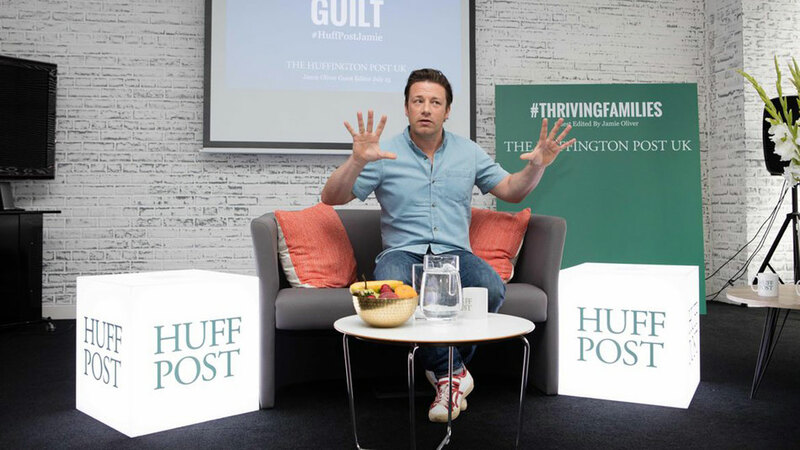 Illuminated acrylic cubes were supplied to Huffington Post for their marketing campaign with celebrity chef Jamie Oliver... More about Huff Post LED Acrylic Cubes. See-Through Digital Mesh is an LED matrix which shows moving digital images while at the same time being able to view through... More about See-Through Digital Mesh. 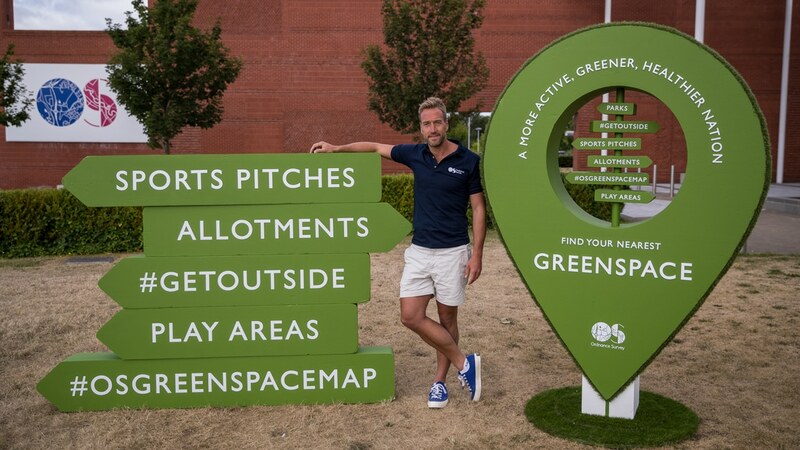 Polystyrene 3D Letters, Signs, Shapes and Logos are a cost effective and lightweight alternative to traditional built up lettering... More about Polystyrene Signs and Shapes. LED Block Acrylic Lettering or Faux Neon offers a slimline, sleek and prestigious look for 3D custom sign letters... More about LED Block Acrylic Letters.